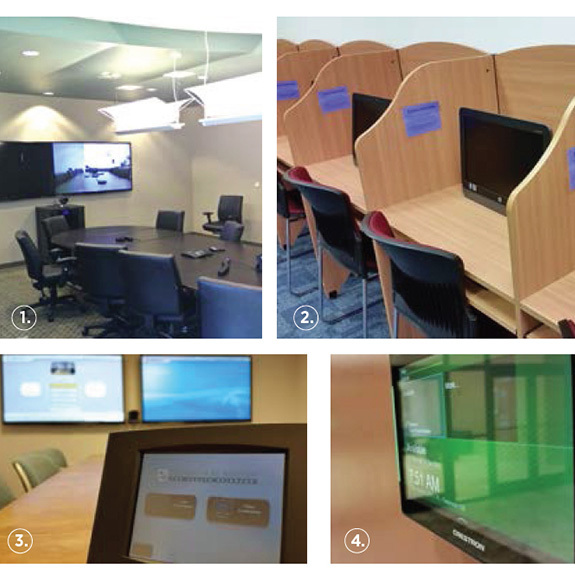 A LifeSize HD Conferencing screen is in each campus conference room, making it easy for students and faculty to connect as if they’re in the same room. No laptop? No problem. Each campus library is equipped with HP all-in-one desktop computers. Students can demonstrate their presentation skills with the wireless audio/visual presentation system in the St. Augustine campus conference room. Touch-screen scheduling panels make locating an available study space a breeze on the St. Augustine or Austin campus.